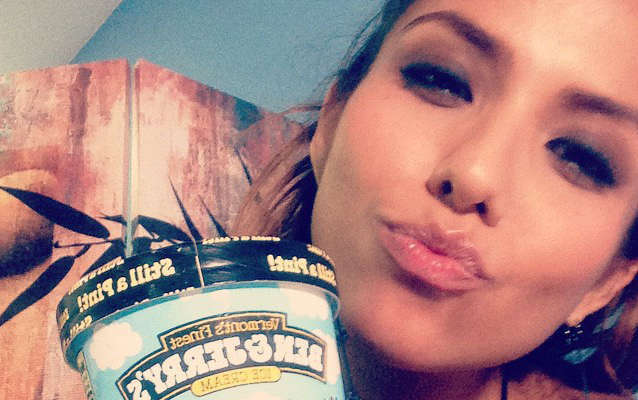 Isabella De Santos relaxes with a pint of ice cream while she takes a break. This Miami-born lady loves to keep cool when it's warm out! She looks like she is ready to dig into this S'mores frozen treat!